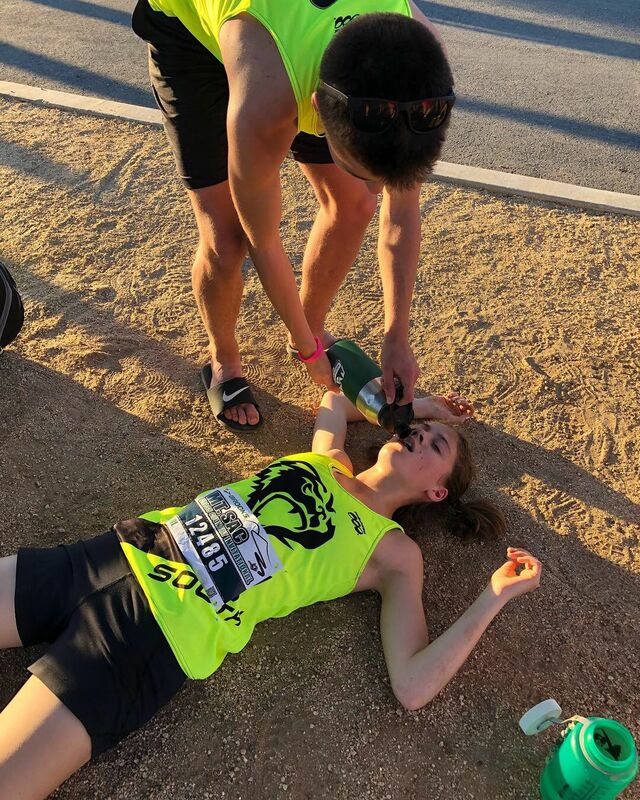 Runners from South High — Ava Earl in particular — made a big impression at this weekend's Mt. SAC Cross Country Invitational in Walnut, California. Earl, a sophomore, ran a personal best to finish third in the Division 4 sweepstakes race for elite-level runners. Running on a 3-mile course that has been home to one of the oldest and most prestigious high school meets for 71 years, Earl finished in 17 minutes, 47 seconds — three seconds out of second place and 28 seconds behind the winner. Her effort converts to a 5-kilometer time of 18:25.02, which surpasses her previous-best of 18:26 — Earl's winning time at this season's Cook Inlet Conference championships. "I was hoping for top 10 in the race, but since it was going to be hot and there were a lot of unknowns, I was trying not to get my hopes up about it," Earl said Saturday by text. "There were a lot of hills, both up and down, and that was difficult, but also a fun challenge. "… I was not expecting to place in the top three, so I am super happy! I ran the hardest that I ever had, which was my goal." The South Wolverines fielded teams in the Division 4 girls sweepstakes race and the Division 4 boys varsity race (Division 4 is for schools with enrollments between 601 and 1,529). 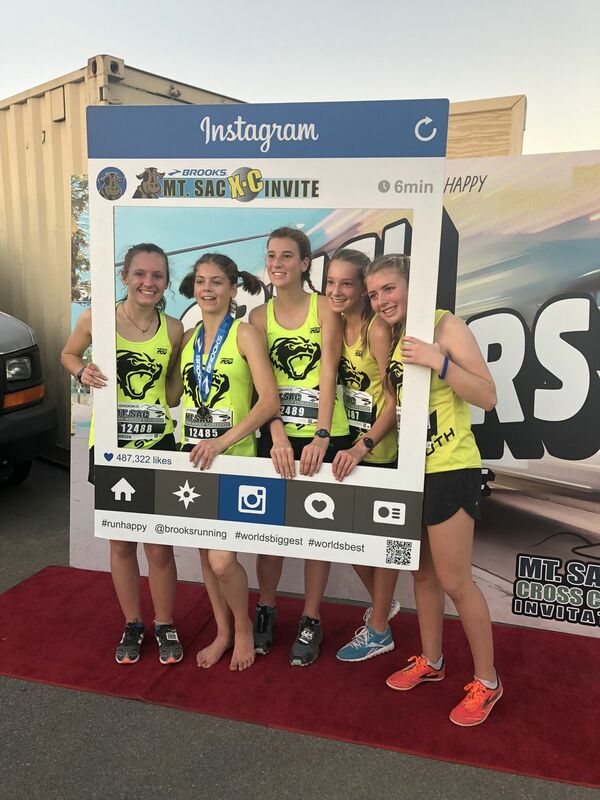 Earl and 25th-place Liz Novakovich led the girls to a fifth place showing in a race with some of California's top teams and runners, according to South assistant coach Jerry Ross. The South boys, whose top-30 showings from three runners, placed fifth in their race. Kaleb Beloy led the way in 17th place (17:25) and was among three Wolverines who broke the 18-minute mark. Seth Chamberlain was 24th in 17:45 and Kai Meyers was 27th in 17:58. "The 90-degree (temperature) proved difficult for us," South coach Sara Miller said. But the heat didn't subdue South's spirit. Earl said the Wolverines really shined during pre-race warmups, where they put on a display of team spirit that's typical in Alaska but apparently isn't common at big meets like Mount SAC. "It was definitely a different dynamic than in Alaska," Earl said. "The girls at the starting line were not as friendly (or maybe they were just focused! ), and not many of them had team cheers. "None of the boys teams had a cheer except for ours, and they got a round of applause for it!" Earl's Division 4 race was the fastest of three races held for elite runners. Skyler Wallace of Sage Creek won the D4 race in 17:19, easily topping the winning times in the Division 1-2 race (17:35) and the Division 3 race (18:25). Following Earl and Novakovich for the Wolverines were Abby Robinson (42nd, 20:37), Taya Lee (64th, 21:43), Isabel Lukes (106th, 25:05) and Lucy Young (113th, 27:54). Other finishers for the boys were Spencer Putnam (47th, 18:27), Ben Fischer (49th, 18:31) and Grant Goodman (18:45). At last year's Mt. SAC Invitational, West Valley's Kendall Kramer — the winner of last month's state championship — placed ninth with a time of 17:53, leading the Wolfpack to the team championship.